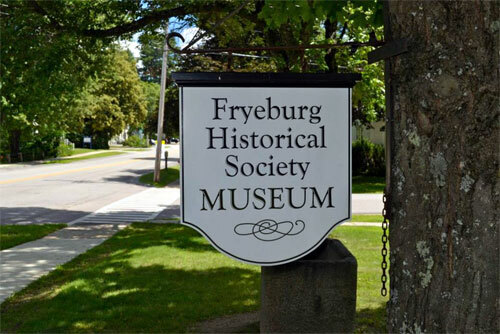 The Fryeburg Historical Society has worked very hard since it organized in 1974 to serve the Town of Fryeburg, area towns, and people across the country. We are the holder of the town’s historical artifacts, paintings, valuable papers, pictures, postcards, diaries, letters, daybooks, vast microfilm collections of local newspapers, maps and family genealogies, obituaries, New England town and county histories, cemetery inscriptions of the same and take great pride in the work we do and the services we provide to the public. We offer educational monthly meetings, a quarterly newsletter, various fundraising activities, special exhibits, genealogical workshops, encampments, fashion shows with antique clothing and silver teas. 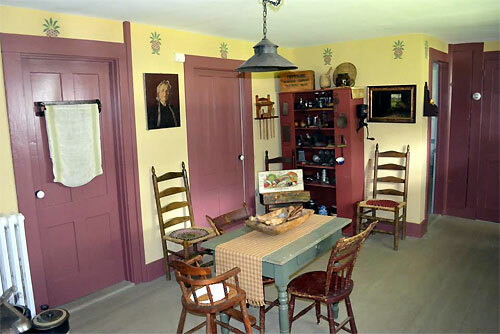 We have purchased a permanent home for the society, the former Ethel “Red” Smith House at 83 Portland Street which will house both the museum artifacts, paintings and our research library in one of Fryeburg’s historic homes, an unspoiled original 1832 cape. Our goal is to carefully restore this home. We have painted the exterior of the house and the original shutters, the windows have been repaired, glazed and made to open, new flashing has been replaced around the dormer windows and the porch roof needed to be replaced with new steel roofing. Eight rooms in the main house have been stripped of wallpaper, new wiring has been completed and old wiring disconnected; we have installed a new boiler and now have heat. 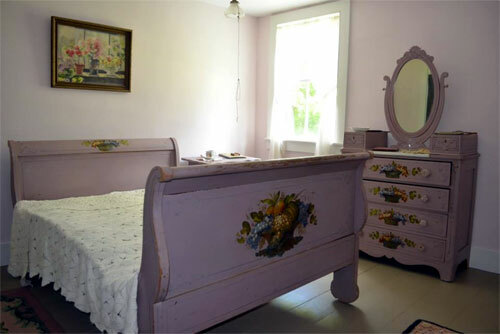 This home has 6 working fireplaces with granite inset hearths, one fireplace having an original beehive oven in excellent condition, original trim, chair rails and wide board floors. This house will be beautiful once it is done. We cannot complete the restoration without your help and your donation would be gratefully accepted. No donation is too large or too small and will go a long way in helping us with this project. We hope you will join us in this important step in the future of the historical society. Donations can be sent to: The Fryeburg Historical Society, 83 Portland Street, Fryeburg, Maine 04037; re: Restoration Fund.